If you receive a phone call from a security ‘expert’ offering to fix your PC – it’s a scam. Here’s how to avoid the ‘Microsoft phone scam’, and what to do if you fear you have fallen victim to it. See also – other common UK scams to avoid. Despite having gone on for years – since 2009 in fact – the “I’m from Microsoft and you’ve got a problem with your PC” scam phone calls haven’t gone away. The scammer calls you, and asks for you by name. 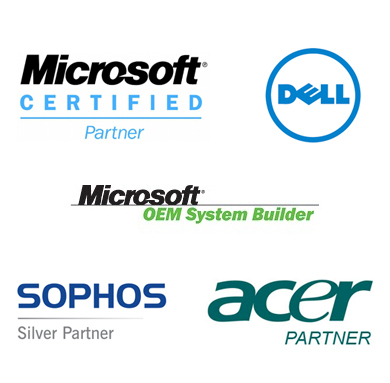 They say they are a computer security expert from Microsoft (or another legitimate tech company or a Microsoft ‘partner’). The ‘security expert’ is plausible and polite, but officious. They say that your PC or laptop has been infected with malware, and that they can help you solve the problem. What happens now depends on the particular strain of scam with which you have been targeted. Some crooks will ask you to give them remote access to your PC or laptop, and then use that access to get hold of your personal data. Others get you to download a tool which they say is the “fix” for your problem, but is actually malware. A more straightforward scam is to simply ask for money in return for a lifetime of ‘protection’ from the malware they pretend is on your machine. Here’s the important bit: no legitimate IT security company – certainly not Microsoft – is ever going to call you in this way. For one thing, they can’t even tell that your PC is infected. They’ve got your name from the phone book, or any one of the thousands of marketing lists on which your details probably reside. They know nothing about your home computing set up – they’re just chancers. Basically, somebody is sitting in a room calling number after number hoping to find a victim. It’s not personal, but it is ultimately dangerous to your financial and technological health. 1. Put the phone down. Get rid of the caller and move on with your life. It is not a legitimate call. 2. During your conversation, don’t provide any personal information. This is a good rule for any unsolicited call. And certainly never hand over your credit card or bank details. Just don’t do it. 3. If you’ve got this far, we can only reiterate point number 1: get off the phone. But whatever you do don’t allow a stranger to guide you to a certain webpage, or instruct you to change a setting on your PC or download software. 4. If possible get the caller’s details. You should certainly report any instance of this scam to Action Fraud. 5. Finally, change any passwords and usernames that could plausibly have been compromised, and run a scan with up-to-date security software. Then ensure that your firewall and antivirus are up to date and protecting your PC. Oh, and there is a number 6: tell everyone about it. This scam preys on people’s insecurity about lack of tech knowledge. It is very easy to be a victim, and the best defence is sharing knowledge. It is much easier to put the phone down if you are forewarned. First of all don’t beat yourself up. This could happen to anyone (and does). You need to change all the personal data that you can change. As much as you might like to you can’t change your date of birth, and changing your name and address seems extreme. But you can change all your passwords and usernames, starting with your main email account and any bank- and credit card logins. Also, contact your bank to ask them to be on the lookout for anything dodgy. Again, use up-to-date security software to scan and cleanse your PC, and if the scammer did get you to do something to your PC using System, Restore to roll back the settings is always a good idea. And tell the police. If you have lost money, it’s possible your credit card company or contents insurance will cover the loss. We have used EasyPC as our IT provider for almost 14 years now and their IT solutions have helped us to expand the company. They provide us with an excellent service that is both knowledgeable and flexible. EasyPC have looked after all my IT (both software and hardware) since 2004 and as our needs have grown so has the service we have received! Nothing is too much trouble, and I would recommend their services to any business or individual if you are looking for an IT provider that really cares about its Customer. Having had the computer service from Easy PC Support Ltd for many years now, I cannot imagine what I would do if I did not have the vital support and back up that Paul and his team bring to my business. They are just a call or an email away when I need them, whether it is during normal working hours; evenings or weekends, I know they are on hand to sort my computer problems out for me. I wish Easy PC the very best for the future and my thanks for all they provide to me and for my business. If you do not have a code, please call 0845 490 0050 / 024 7636 1079 . Easy PC also operate a Remote No Fix, No Fee option for £25 + VAT.